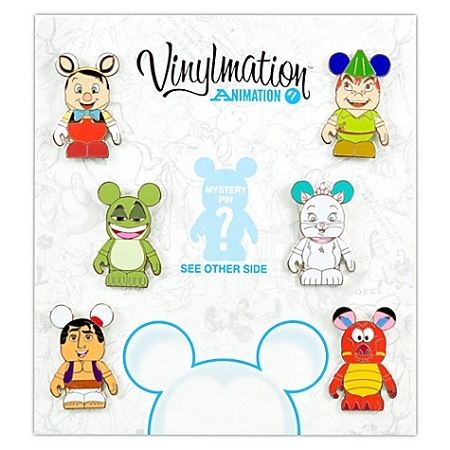 Disney Vinylmation Pin Set - Animation 1 - 7-Pc. Fans of Disney animation, Vinylmations, and pins will be in for a treat thanks to this pin set inspired by the Vinylmation Animation 1 Series. Seven of your favorite Disney characters are featured, including Pinocchio, Peter Pan, and a mystery pin too!